As many as 14,657 businesses were established in the capital city of Hanoi in the first seven months of 2018 with a total registered capital of over 16 trillion VND (US$687 million), down 1 percent in number but up 42 percent in capital year-on-year. 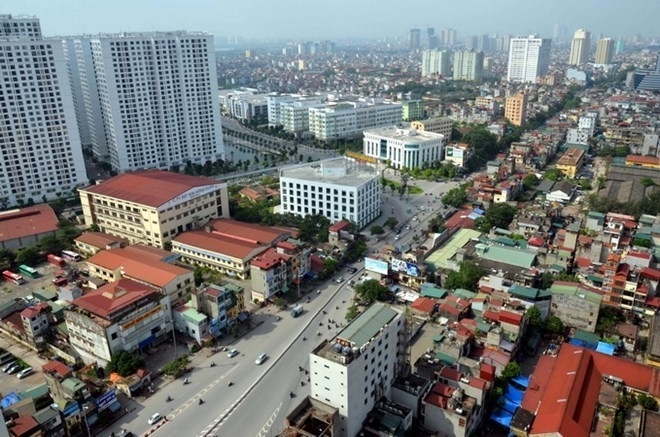 Director of the municipal Department of Planning and Investment Nguyen Manh Quyen revealed the information at a recent meeting of the Hanoi People’s Committee. The city attracted nearly US$6 billion in foreign direct investment (FDI) in January-July, 4.38 times higher than the same period last year. In July alone, Hanoi drew US$80 million in FDI. The capital granted new investment licences to 55 FDI projects worth US$21.1 million and allowed 15 existing ones to increase capital of US$9.8 million. Among the newly licensed are the US$4.1 billion smart urban area project, two projects of Japanese Nidec Corporation at Hoa Lac hi-tech park with combined investment of US$400 million, the US$92 million OPC drum production project of Japan’s Mitsubishi Chemical also at the park, the SYM Catavil Complex project worth US$105 million, and the US$90 million Xuan Son waste treatment plant. The Hanoi Lotte Mall project was allowed to add US$300 million to its capital, and the beer production plant of Heineken Hanoi Brewery, US$43 million. Quyen reported that Hanoi continued maintaining growth in the seven-month period. Specifically, the city moved up one place to 13th among the 63 cities and provinces in Provincial Competitiveness Index (PCI) and second in Public Administration Reform (PAR) index, he said. The outcomes were attributed to the city’s efforts to lure investment, remove difficulties for businesses and improve business environment. Additionally, the city focused on calling for investment in new projects and asking specialised agencies to support investors in removing bottlenecks during the implementation of projects, he added. Local authorities paid due attention to encouraging the establishment of new businesses and development of the private economic sector. The city also conducted online business registration and ensured the settlement of administrative procedures for businesses, excluding dissolved ones, within three days.